After months of preparation the time has finally come: On April 23rd at 4 pm our very own free shop will have its grand opening! There will be cake, music and laughter and we hope to see you there! We open our doors to share! Give what you have too much of and/or take what you need! Paused during month of calm and foodsharing hackweek! Broken devices clutter your apartment? You fancy tinkering? You're interested in exchanging experiences? Bring what you have left over from last week and let's have a nice time while eating and talking together! Between 11am and 1pm we offer the table for this! The foodsharing leftover brunch is about coming together. Together we'll dare to open those dubious jars you found in the back of your pantry and find out how long this food really lasts. There are still some rests of snow but soon we will go on festivals again! The monthly meeting of Wurzen's foodsavers takes place every 2nd Thursday a month at 6 pm at Kanthaus. We plan the future of local foodsaving, strengthen our community, share food and spend a nice evening together. Be part of it! The next foodsharing.de hackweek is due! 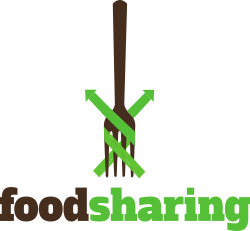 In the middle of February we invite all new and old members of the foodsharing development team to gather at Kanthaus! The refactoring will continue and the goal to make foodsharing.de a platform that is not only open source but also future-proof is still on. So come and join us to help us make the light at the end of the tunnel become brighter! Board meeting of foodsharing e.V. We are happy to welcome the board of the federal foodsharing e.V. at Kanthaus! The monthly meeting of Wurzen's foodsavers takes place every 2nd Thursday a month at Kanthaus. We plan the future of local foodsaving, strengthen our community, share food and spend a nice evening together. Be part of it! So far we always started at 7 pm. From now on it's held at 6 pm! We take the time to close down, introspect and refocus. No new visitors are accepted during the month of calm. The monthly meeting of Wurzen's foodsavers takes place every 2nd Thursday a month at 7pm at Kanthaus. We plan the future of local foodsaving, strengthen our community, share food and spend a nice evening together. Be part of it! Hereby we invite all members of the 'Haus Kante Wurzen' association to our general meeting. Hereby we invite all members of the 'Wandel würzen' association to our general meeting. After a very successful Summer of Karrot in July, we continue learning, conceptualizing and coding a progressive web app this January! It's all about enabling real people all across the world to save perfectly fine food from being wasted, about writing good software and about being empowered to create. The biggest event of the European hacker scene is on and this time Kanthaus will participate on many levels!